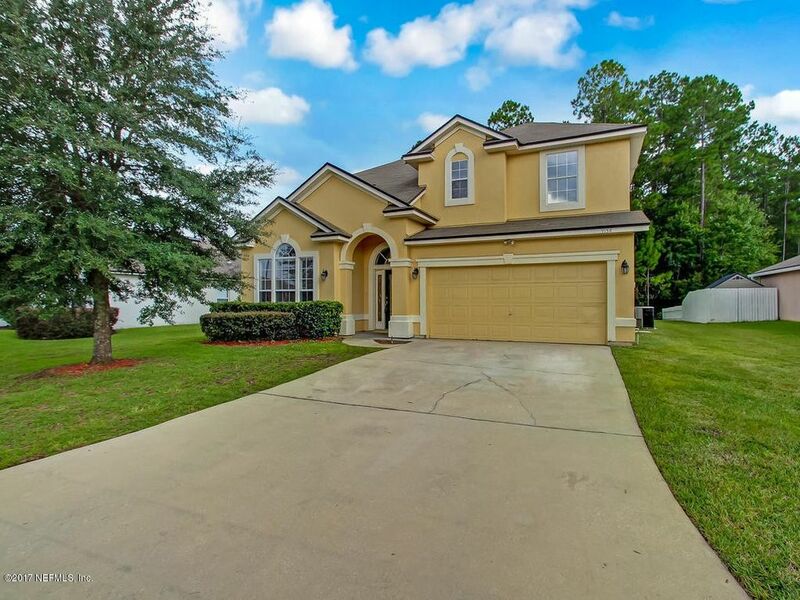 4 Beds 3 Baths 1 Partial Bath 2,598 Sq. ft.
You wanted a clean, spacious, move in ready home? Your wait it over! Come see this 4 bedroom 2.5 bathroom Richmond American built property. This property features a formal living/dining room and a family room w/electric fireplace. The well appointed kitchen includes stainless steel appliances, 42'' inch maple wood cabinets and a pantry. Upstairs are the 4 spacious bedrooms, computer loft area. The owner's suite is a must see with it's single tray ceiling w/crown molding, 2 walk in closets, master bath with adult height vanities, double sinks, tiled shower, garden tub and a water closet. The lawn is kept beautiful courtesy of the sprinkler system. Enjoy bug free Florida weather with the screed patio. Ask about down payment assistance of up to $22,500 towards the purchase this home. Directions: From I-10 Exit Onto The Hammond Blvd Exit. Turn Right Onto Normandy Blvd., Right Onto Guardian, Right Onto Thunderbolt Dr, Left Onto Hawkeye And A Right Onto Raptor Drive. The Property Is On The Left.